What can kids listen to when they've outgrown 'The Wiggles' and 'Hi5', but are not quite ready for the raunchy themes that feature in today's pop music? BUS-TA-GROOVE! Finally, a kids show with rockin' Dance, Funk, Glam Rock, Reggae and Hip Hop music with child friendly lyrics. The School bell rings and everyone races out to catch the bus home. But this is no ordinary bus! 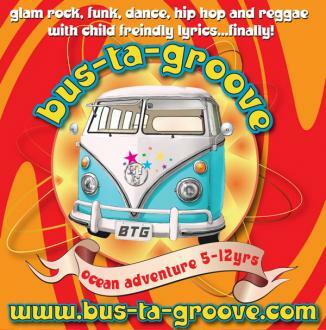 It's Bus-ta-groove, which stops off in funky worlds where we jump off and have a mad adventure before making it home. Slap stick comedy and hip music keep children AND parents mesmerized. 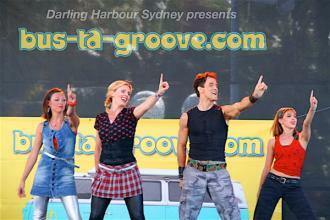 Bus-ta-groove is the most innovative and exciting kids show on the market. Are you ready to Rock?